We are one of the leading Manufacturers, Supplier and Exporters of a wide range of Corten Steel ASTM A423 A Gr.1 Pipes & Tubes in Mumbai, India. 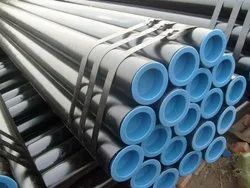 We offer Our range includes Seamless Pipes & Tubes / welded pipes & tubes. Corten Steel Pipes & Tubes are where the atmosphere is highly corrosive. We can provide these in customized sized and specification as per requirement of our clients Standard ASTM, ASME & Other equivalent specifications. 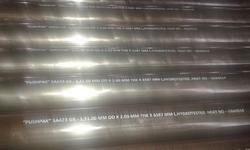 These Corten Steel pipes & tubes widely used in various application industry such as Sugar Mills, Chemical Plants, Fertilizer Plants, Power Plants and other process oriented plants etc. As an ace manufacturer and supplier of A423 Corten Steel Tube, we have marked our name very strongly in the market.These tubes have got superior corrosion resistance over regular carbon steel and allows itself to naturally conform to the environment. These have high strength-to-weight ratio and we offer these at extremely affordable rates to our customers. Corten Steel APH ASTM A423 A Gr.1 Pipes & Tubes Corten Steel Gr.1 Pipes, Corten Steel Gr.1 Welded Pipes & Tubes Manufacturer, Exporter & Suppliers. ASTM A 423 GR. 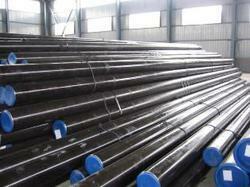 1, A 847, 588, 606 Corten Steel Seamless Pipes & Tubes, ERW Pipes Suppliers in India. 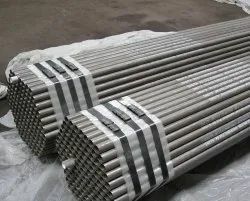 ERW Corten Steel Air Heater Tubes are also used in Sugar Mills, Power Plants, Fertilizer Plants and other process oriented plants for outflow of hot air. Corten Steel Air Heater Tubes are where the atmosphere is highly corrosive. 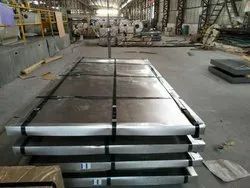 Being one of the leading companies, we are engaged in offering an extensive range of Corten Steel Coil Sheet Plate to fulfill the demands of our patrons. These products are made by using the top quality raw material that gives the finest quality and make sure long service life. Moreover, we check these products on dissimilar quality parameters to make sure long lasting service life. Size 1/2", 1", 2", 3"
Corten Steel Tube ASTM A 423 (Corten A & Corten B), BS 6. Our company has established itself as a manufacturer and supplier of superior quality Corten Steel Tube in the market at present. 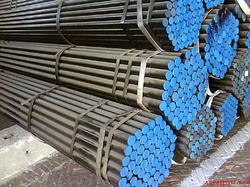 These tubes are made up of steel alloy with added chromium, copper and nickel, on which a dense, tight layer of rust appears. The air and water-tight patina is formed over a period of six months, which prevents the steel from rusting any further. CORTEN STEEL COMPANY is a Family Run Company Originally having a Speciality in Carbon Steel, Stainless Steel and High Nickel Alloys Pipes and Plates. Conquest Steel and Alloys - Years of Experimentation and Research, together with the development of new era has made one of the most advanced companies in this field; the use of up-to-date technology guarantees constant quality in its products & services. Corten steel also known as Cor ½ Ten is kind of weather resistant steel which could more precisely be termed as atmospheric corrosion resistant steel. 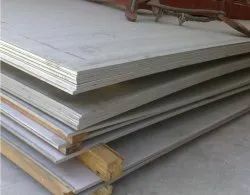 Our company supplies an assortment of steel plates, which are accessible in different specifications as per the requirement of our customers. Obtained from reliable vendors, our assortment of these plates is available at a reasonable price. When utilized uncovered, exhibits increased resistance to atmospheric corrosion in comparison to unalloyed steels. 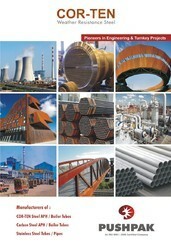 We are a well-known name of the market for manufacturing a wide range of Corten Steel Tube to our honored patrons. These products are usually used in manufacturing industries to numerous purposes. Our products are highly cherished in the market for its quality and longer working life. Our customers can get these products at affordable prices from us. Corten B Steel Plates are corrosion resistant and need no maintenance. The plates are developed using weathering steel and a protecting layer is their on the steel surface when used in hazardous weather conditions. 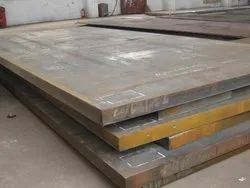 These steel plates are used in welded bridges, high buildings and shipping container, and other outside steel structures. Further, our valuable clients can avail these plates from us at the most affordable rates.